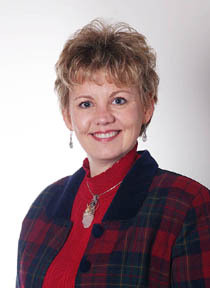 Ingrid Dean joins me again for part 2 of our conversation about The Spirit Of The Badge. In this show we'll delve into who she is a bit more and what she truly believes in. I am always curious to see what brought a person to where they are now. Plus I think it lends credibility to the guest when they open up and you find why they believe the way they do. Is it from personal experience? I think with most it is. Are the stories in the book real? Why would so many officers put their neck on the line if they weren't? Two of the stories that are highlighted in this interview are from the audio book. You will hear that audio in segments two and three. I am impressed with the production. It is well done and I enjoyed listening to it. One is about the possibility of communication from beyond to help solve a murder. The other is called the Angels Shield. You certainly have to wonder sometimes if we are protected by angels, or guardians. Both are great stories. The officer in the story had a brief but amazing encounter. I've noticed that myself. It isn't this brilliant production like you see in the movies. It's usually short and sweet. From my own experience, it seems more accurate. Strange topics this week? Perhaps. I had a nice vacation, thanks for asking. What did we see? 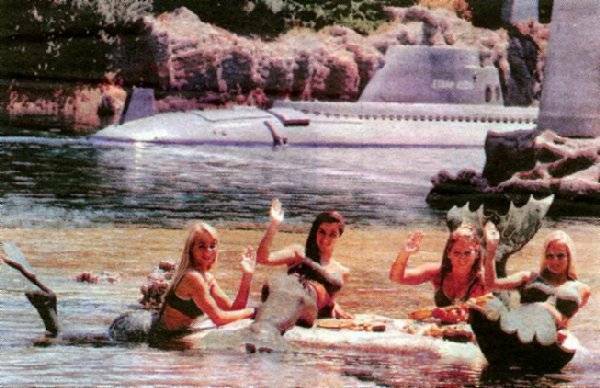 You heard about those folks over in Israel that saw mermaids, right? We were kayaking down the Autrain and saw some strange gals that almost looked a bit fishlike, so I took a picture. Connected to the Israel sighting? Perhaps. Actually I share some strange animal stories, something I just noticed recently regarding animal behavior. Perhaps you have noticed this too. Also my own bald eagle and my father in law's strange golden eagle story. Oh, and my father in law Bob did see something a bit unusual in the sky (for real) and wasn't sure what it was. So I snapped another picture. There were a lot of us gathered around, it almost looks like a scene from some movie but I assure you that if could be. Seriously, Bob did see something in the sky that appeared to be dancing around, and he's not a big believer. Funny, because someone very close to him once saw a ufo land many years ago. So what was it? I don't know, I didn't see it. Oddly enough I was paying attention when one of the other residents along the lake made a comment last summer about seeing a ufo over Camp 7 lake as just a matter of fact statement. Not far from there is the town/blink-of-an-eye Stueben. My buddy Joe and his wife were traveling near Stueben and saw a football sized orb float over the trees and go across the road into the woods. What the heck was that? Is this area home to strange phenomena or does it occur almost anywhere where it is remote and forested? Does it lend any credibility to eye witness accounts when it comes from the police or military? I think so. Ingrid Dean, a state police officer out of Traverse city joins me this week. 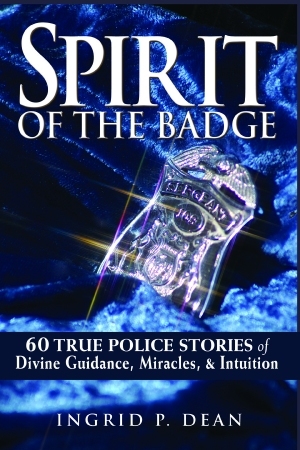 Ingrid has put together a book called Spirit Of The Badge that is about several things. What's unique is that these are all stories that were told by police officers regarding normal and not so normal incidents. Why did Ingrid write the book? Her own curiosity for one. To show that police are just like the rest of us and are really pretty good folks. And three, so that others would not and should not be afraid to speak up. If anyone is going to get scrutinized for talking about something unknown, it is going to be a police officer. Ingrid's book has something for everyone. Some of the stories are cute, some are mysterious, some will really warm your heart, and some are about the unknown. Any kind of unknown that you may have heard of. There is more than one incident of a cop helping someone in their time of need and then when the time was right the favor was returned. To me it proved the greater connection that we all have, and perhaps the greater purpose that exists for all of us. There are stories about officers who use their intuition to save their own life, or the lives of others. Where does intuition come from? This is part one of two, and by the way I'm on vacation next week. What? Again? I know, too much time off!